Coat a 9-in. fluted tart pan with removable bottom with cooking spray. In a large bowl, beat the yogurt, honey, oil, egg, egg whites and extract until well blended. Combine the flour, cornmeal and baking powder; gradually beat into yogurt mixture until blended. Stir in orange zest. Pour into prepared pan. 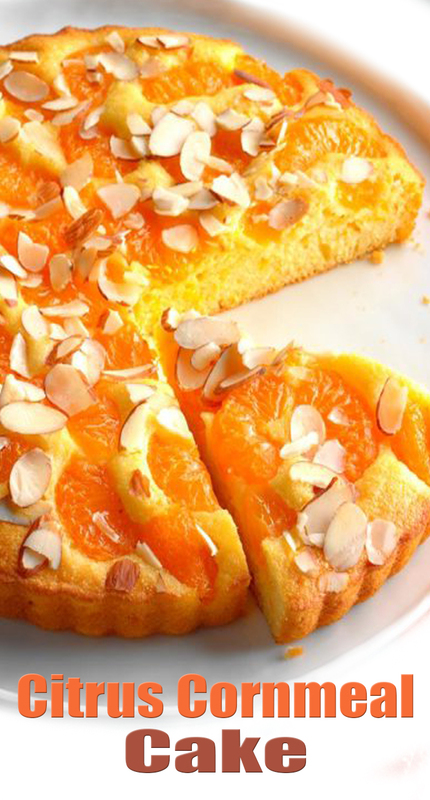 Arrange oranges over batter; sprinkle with almonds. Bake at 350° for 25-30 minutes or until a toothpick inserted in the center comes out clean. Cool on a wire rack for 10 minutes before cutting. Serve warm or at room temperature.